The 2nd quarter of 9th batch of Diploma programme has started on 22nd December, 2018. All of the participants of first quarter and one participant from 8th batch have enrolled in the 2nd quarter. 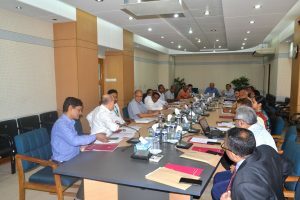 Three courses: C4 MIS of Microfinance Programme, C5 Governance and Regulations of MFIs and C6 Human Resource Development for MFIs have been offered in this quarter. The Education Division is planning to launch a new InM Certificate Course in Microfinance to attract fresh graduates to the microfinance sector and provide them with basic skills to build a career in the sector. The aim of the programme is to provide a route to the graduates to gain useful unders tanding of microfinance operations, management and other related knowledge and practical experience so that they can perform efficiently in the sector from the beginning of their career. The course is ideally designed to address the needs and aspirations of the entrants. The programme is developed by a group of practitioners with long professional and practical experience in the microfinance sector. 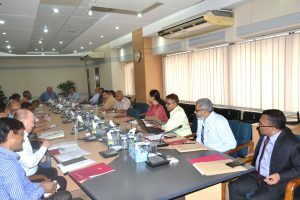 To solicit feedback from the sector leaders, a meeting with leading MFIs was organised on 20 March 2019 in which the details of the course outline and structure and the rationale behind introducing the course were shared by InM. 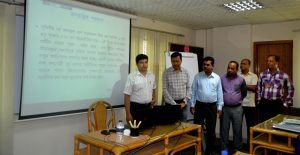 The distinguished participants highly appreciated the InM initiative and suggested improvements to enrich the contents and objectives of the course. 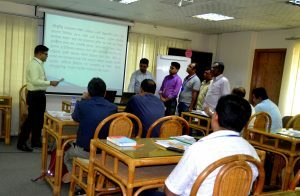 They suggested that the success of the course could become a milestone for the advancement of the microfinance sector. The Education Division is currently working on revising the course contents and the course will be offered by InM soon. Dr. Qazi Kholiquzzaman Ahmad, Chairman, InM conducting a session on Poverty, Development and Microfinance. The 9th Batch of Diploma programme has started on 8th September 2018. 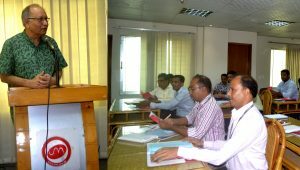 The Orientation Programme of the new batch took place on 5th September, 2018, chaired by Dr. Mustafa K. Mujeri, Executive Director, InM . 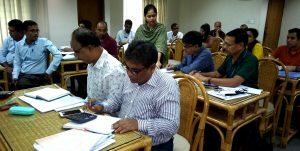 23 participants have enrolled in the programme from 11 reputed NGO-MFIs such as BRAC, SOJAG, DSK, PADAKHEP, RIC, BURO Bangladesh, Sajida Foundation. Moreover, one participant has enrolled with self-financed. Three courses, C1: Poverty, Development and Microfinance, C2: Microfinance Operations and Management and C3: Financial Planning and Analysis for MFIs have been offered for this quarter, the other three courses will be offered in the next quarter. Dr. Qazi Kholiquzzaman Ahmad, Chairman, InM conducting a session on Poverty, Development and Microfinance. Dr. Mustafa K. Mujeri, Executive Director, InM delivers speech at the inaugural session. 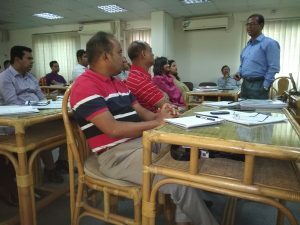 Mr. Shabbir Ahmed Chowdhury, Director (Education), is delivering speech on Microfinance Evolution and Practices. Mr. Abdul Matin, Executive Director, SOJAG, is sharing his experience and thought on Present, Past and Future of Microfinance. 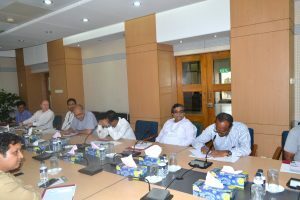 Mr. Eftekhar Ali, FCA, conduction a session on Financial Planning and Analysis for MFIs. 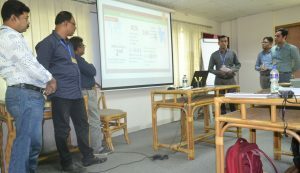 Ms. Nahid Akther, Senior Research Associate, InM, conducting a class on Multidimensional Poverty Index (MPI).